With smart technology penetrating every aspect of people’s lives, it has forayed into bathrooms as well, an integral part of everyday lives. Smart toilet market is a relatively nascent and developing industry, characterized by a low to medium level of competitiveness. Used in both residential and commercial environments, smart toilets provide benefits like automatic flushing and cleaning, water level management, automatic water jets in bidets, air drying, self deodorizing and heated seating, among others. By simplifying the whole defecating process and increasing efficiency of toilet maintenance while reducing manpower requirements, smart toilets are gaining popularity as a lifestyle statement, especially among the elite classes of the population. They are finding increasing usage in commercial organizations like shopping malls, premium hotels and corporate buildings. Smart toilets have been in existence in Japan for quite some time, and are now beginning to make their mark globally. Demand predominantly exists in developed countries with high rate of expenditure on sanitation. On the back of rising supplications of smart technology in lifestyle processes, the smart toilets market is expected to grow at a CAGR of around 13% over the forecast period. Demand for smart toilets in the commercial sector exceeds the demand in residential segment by far, with the commercial segment accounting for nearly 70% of revenue. Within commercial, the hospitality sector has the largest market share compared to other sub segments. The commercial offices sector is expected to witness the highest growth over the forecast period, on the back of increasing number of offices worldwide and their willingness to invest in smart technology. Geographically, North America dominates the global market for smart toilets, as the sanitation industry in the region is huge. 100% of the population in US and 99.8% in Canada have access to improved sanitation facilities, as per World Bank data. With rising disposable incomes and expansion of the elite population, the North American region is set to witness the highest growth rate during the forecast period. Rapid urbanization around the globe with rising disposable incomes and increasing digitization of processes are the factors driving the market for smart toilets. Currently, about 54% of the global population resides in urban areas and these numbers are expected to grow in future. 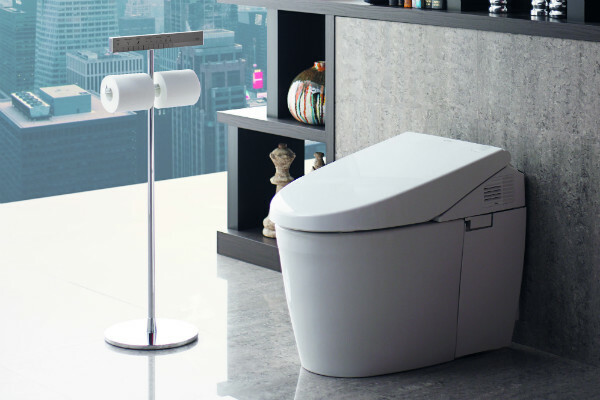 Demand is expected to rise as smart toilets become a lifestyle statement, especially among the elite population. Rising number of international luxury hotel chains and growth in the hospitality sector will further foster growth in the smart toilets market. High cost of smart toilets act as a major deterrent of demand, and consequently demand exist only among the elite population in the residential segment and in high end offices and malls and premium hotels in the commercial segment. Investing in the smart toilet business in regions like Asia with low access to improved sanitation might prove risky, as the likelihood of consumers willing to spend on such technology is not high. The North American and European regions have the highest access rates to improved sanitation facilities as well as spending on health and sanitation, marking these regions with the highest potential for players in the smart toilets market. Asia Pacific is characterized by the lowest rates of access to improved sanitation, especially countries like India. However, the Chinese government is tending to focus on the toilet industry and smart toilets, which might create opportunities for players in the region.